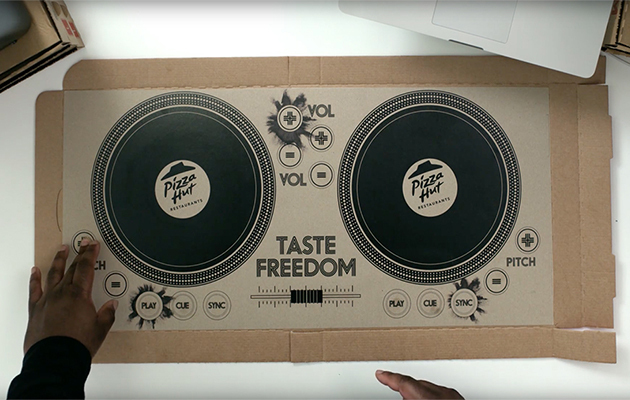 Pizza Hut used conductive ink to create a turntable pizza box that really works. McDonalds and Dunkin’ Donuts have done similar projects in the past. In partnership with Novalia, Pizza Hut has revealed a battery powered pizza box that syncs up to electronic devices via Bluetooth and is compatible with most DJ software. The cardboard DJ set up includes a crossfader, two platters/records, pitch and volume control. Pizza loving DJ’s can use it to scratch, rewind and sync music. Pizza Hut plans to unveil the device at five UK locations in a promotional event. In the video above Rinse FM’s DJ Vectra demonstrates how to use it. 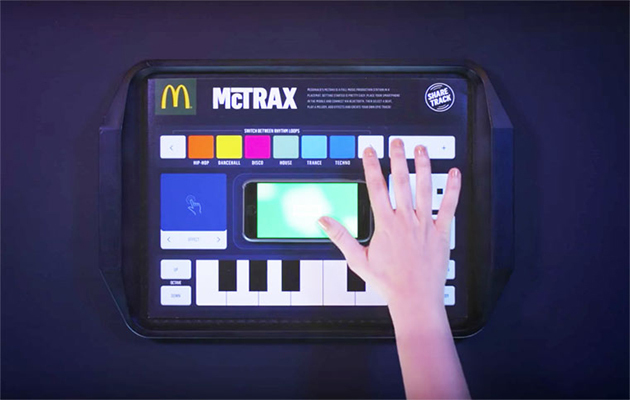 Last April, McDonalds debuted the McTrax Placemat, which looks like a disposable synthesizer. It uses conductive ink to connect to your smartphone speaker so you can produce loops, synths and other audio effects. However it was only available in the Netherlands. In the video everyone is jamming out with their McTrax Placemats. Both McDonalds and Pizza Hut were late to the party when you consider Dunkin’ Donuts’ recent advertising campaign. 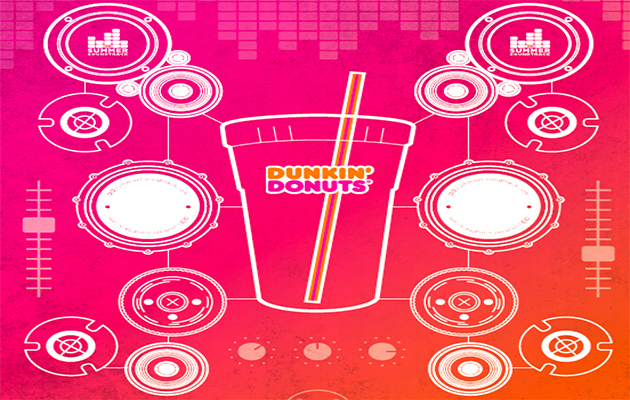 In 2014, the round dessert maker used musically interactive posters at the Dunkin Donuts Summer Soundtrack events in Boston, Chicago, Miami, New York and Philadelphia. The VIP tents featured audio posters with different “hot spots” that guests were invited to touch during the show. Novalia is a UK based technology company that specializes in conductive ink projects for advertising and other uses. In late 2014, they made the interactive record cover for DJ Q-Bert’s Kickstarter-funded Extraterrestria album. It looks and acts like a portable turntable! We believe the future will look more like the past than the present, where beautiful old school things we love and are nostalgic about will not die as many have said. We hope to breathe life into things like books and album covers, keeping the creativity in physical products alive. We work at the interface of the digital and physical, taking the essence of the digital world and putting that digital DNA into beautiful physical objects which have intuitive touch, connectivity and data beneath the surface and are manufactured by processes such as regular print. Download the hottest new music at BPMSupreme.com! Learn more about joining the BPM Supreme record pool.